Pat Davies was diagnosed with Parkinson’s disease in 2009. In 2010 she attended the World Parkinson Congress in Glasgow and was inspired to get involved with the international event. 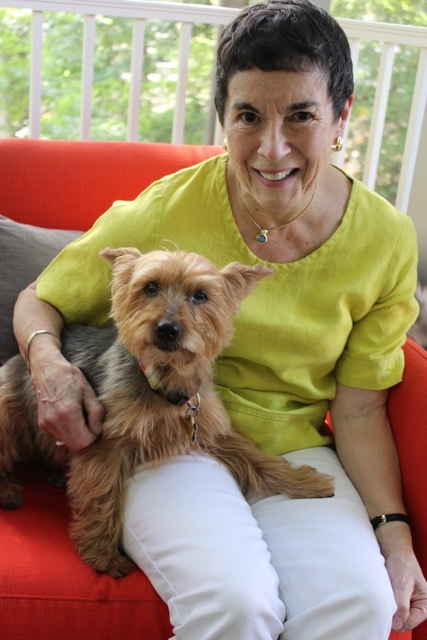 She is now a member of the WPC Steering Committee, and Advocates for Parkinson Committee, and is also secretary of the board of the World Parkinson Coalition. She has a special interest in working with people with Parkinson’s who live alone, as she believes that this topic is not given sufficient attention. Flying solo with Parkinson’s? You’re not alone! Inspired by the Glasgow World Parkinson Congress (WPC) in 2010, Pat Davies – who has been living alone with Parkinson’s disease for six years – realised she wanted to help others in the same situation. Now working for the World Parkinson Coalition, she’s taking the opportunity to raise money for people living alone with the condition, and who are unable to finance a trip to the Portland WPC in 2016. When you were first diagnosed, what was the first thing you thought? I had known for some time, probably a couple of years, that there was something wrong, but my doctor kept telling me that the symptoms were due to the fact that I had retired and changed my daily routine. I knew it was more than that, and I guess I had made my own diagnosis before I heard the words from my doctor, so in a way it was a slight relief to finally have a name for it. What was it like to face Parkinson’s alone, when you were first diagnosed? My friends were, and are, really supportive, but at the end of the day, when they’ve gone home, if you live by yourself, you’re all alone. However, I am quite good about putting things I can’t change to one side, and not getting stressed about them. There is no way of knowing how and when my disease will progress, so I live a very full life, and do as much as I can, while I can, but at the same time try to set things in place so that I am prepared for whatever the future might bring. Was it harder to deal with on your own? I’ve lived alone since my divorce in 1979, so I am used to dealing with things by myself, and maybe I am stronger because of that. I was an only child, my parents both died some years ago, and I have no close family other than some cousins in the UK who I’m not very close to. Of course it would be nice to have someone to give you a hug when life gets tough, and when you can’t move as well as you would like to, but as I said, I have some great friends who actually complain that I am too independent and don’t call on them for help as often as I should. What was your first experience of WPC like? Amazing! A friend saw it advertised so I did some research and decided to go. I have been an organiser of large international congresses for about 40 years, so the idea of being a participant at one was quite appealing. At first, being among so many people with Parkinson’s was rather overwhelming as you felt that you were looking into your own future and it was sometimes a little scary. But once you’re used to it and get to know some of the other participants it was very inspiring, and somehow comforting to be with people who didn’t judge you for how you walked and talked, and who knew how you felt if your medication hadn’t quite kicked in and you were in an ‘off’ state. One thing I love is that WPC is for the entire Parkinson’s community, which is quite unique. What inspired you to get involved with WPC? When I attended WPC for the first time in 2010, in Glasgow, I was inspired by many people, from the neurologists and researchers who were working so hard to find a cure or better treatment options, to the carers and family members. Most of all I was inspired by those with young onset Parkinson’s, who had been diagnosed at the height of successful careers as dancers, or professional athletes, or doctors or surveyors, but instead of giving in to the disease they had formed organisations or devised exercise programmes to not only fight their own disease, but also to help and motivate others. 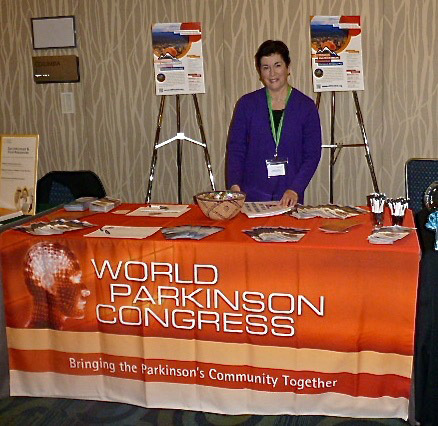 Why is something like WPC so important to the Parkinson’s community? This unique gathering brings the entire community together in one place at one time to share experiences and knowledge, to discuss and advance research, to show the latest treatment options, and to learn about alternative methods such as exercise and nutrition to enable us to live better with Parkinson’s. It also provides a rare opportunity for researchers and people living with Parkinson’s to interact, often an inspirational experience for researchers, and a way to reaffirm their commitment to this area of neuroscience. 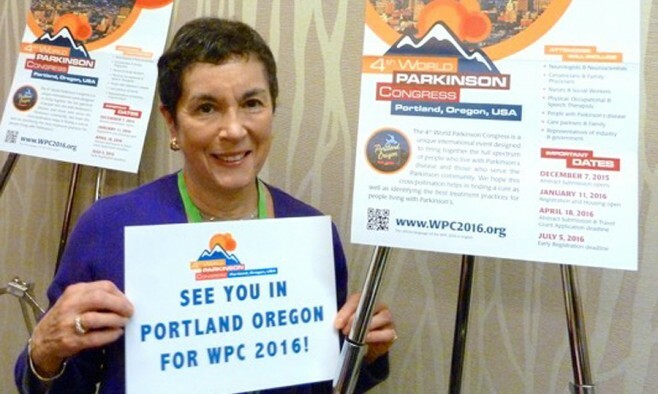 How has attending WPC affected the way you live your life with Parkinson’s? I have been encouraged to participate in clinical trials and I became a research advocate with the Parkinson’s Disease Foundation. I regularly attend other conference events for the Parkinson’s community, and at the next WPC I will co-host a roundtable session on ‘Living Alone with PD’. I also try and seek out people who are newly diagnosed, especially if they live alone, and tell them that they can live well with Parkinson’s, and encourage them to stay as active and engaged as they can. What inspired your fundraiser for travel grants dedicated to people living alone with Parkinson’s? When I was officially diagnosed in 2009 the first thing I did was to Google Parkinson’s disease and read everything about it that I could. I searched for ‘resources for people with Parkinson’s living alone’ but could find nothing available anywhere. The first WPC that I attended back in 2010 had such a profound effect on the way I live my own life, that I wanted to share the experience, particularly with other solo people with Parkinson’s, who have very few other resources in our community dedicated exclusively for them. As a member of several Parkinson’s chat groups on Facebook, I see how many people say that they would love to attend WPC but just don’t have the resources. Even though we keep the registration fee for patients and carers as low as we can, many people are on limited, or even no, incomes, so it’s just not possible, especially when you have to add hotel, meal and transport costs. Last year we introduced a new donation-based fund for travel grants and raised more than US$17,000. When combined with donations from a couple of foundations and Tourism Montreal, we were able to provide some sort of financial support for over 200 people to attend WPC 2013. Additionally, our ‘Buddies Program’ is an initiative to strengthen the global Parkinson’s community by matching people with Parkinson’s and carers who register to attend WPC 2016 in Portland. Since it started in 2013, this programme had nearly 185 participants from around the world who connected before even arriving at the registration desk. You are putting your own personal funds into the campaign. Why do you feel so strongly about creating the travel grants? In 2013 I was part of the team that reviewed the travel grant applications, and I saw how many people were turned away because we did not have sufficient funds to award grants to all who applied. We always ask applicants to tell us how they will pledge to share the knowledge they have gained at WPC with the Parkinson’s community in their home country or state. I was very moved by some of the applications and the lengths some people were willing to go to in order to share the information after the congress. I am fortunate enough to be able to pay my own way to the congress, and give a little bit extra to put towards someone else’s attendance! Also, I would not expect any of my friends to donate to a cause that I would not support myself! What advice would you give to others who are facing the challenge of Parkinson’s on their own? I would advise them to make sure they have in place as much as they possibly can to enable them to live as well as they can as their illness progresses. For example, make sure you have made decisions about how you will be cared for once you need help. I’ve moved to a house where I can live on one level when I can no longer safely negotiate stairs. But also try and live the best life you can while you are still able to. Don’t sit at home bemoaning the fact that you have Parkinson’s and waiting for it to progress. Get involved with clinical trials, join a support group, or start one if there isn’t already one in your community. Meet your friends, exercise, adopt a dog so that you have to go out and walk, whether you want to or not! Also do things that aren’t associated with Parkinson’s – join a book club, a movie group or an exercise group (or start one), start cooking and invite your friends to dinner, volunteer with people who need your help. Get your creative juices flowing! Paint, write poetry, sing, dance, take photographs, draw. Above all, try and stay positive – living alone need not mean that you are lonely. Its worth advising PwPs esp those staying alone to Join a Support Group for Physio Therapy be counselled, be involved and learn that they are not alone. All are blessed.